This entry was posted on July 25, 2016 by BlowoutBuzz. At the finale of his Hall of Fame speech on Sunday, Junior donned his trademark backward cap. 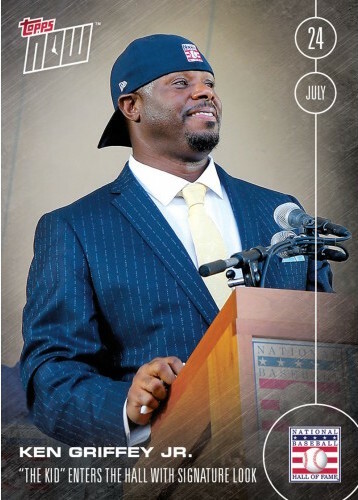 On Monday, Topps made Ken Griffey Jr.'s moment one of its newest Topps Now cards. 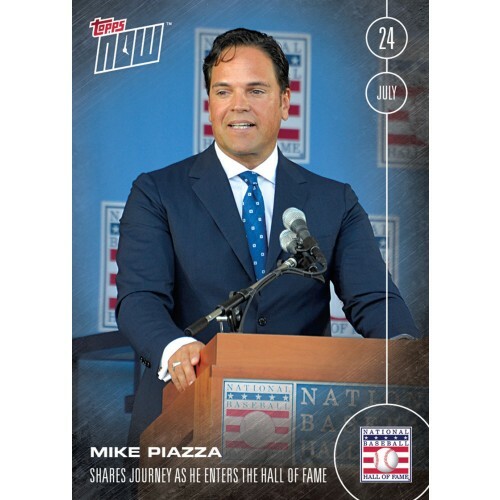 Griffey wasn't alone as Mike Piazza, the other new Hall of Famer, is among the four cards up for grabs today among four offered today. 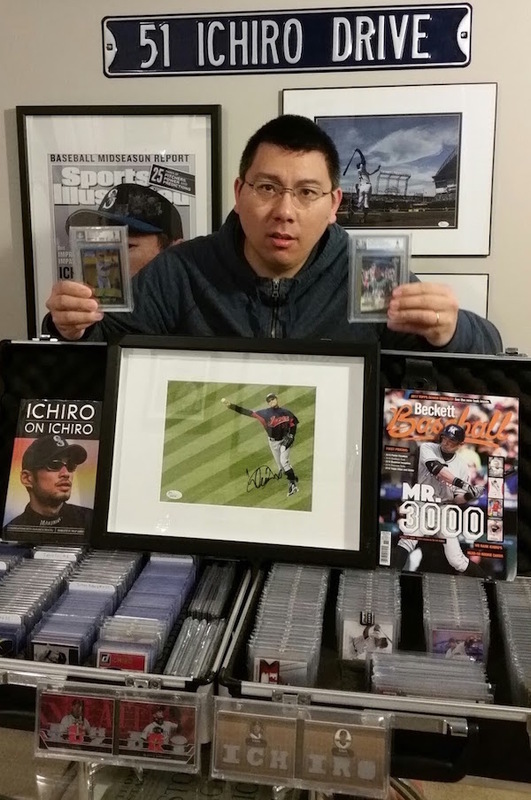 These cards will only initially be available on Topps.com for 24 hours and are made to order. For more on Topps Now — and to see a gallery of all past cards — click here. April 19 -- Yu-gi-oh! Order of Spell.